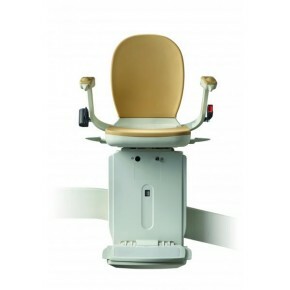 Northern Mobility Stairlifts specialise in Straight, Curved and Rental Stairlifts. 1. We are a family run business established for over 20 years installing and servicing stairlifts in and around West Yorkshire. Offering a first class service and value for money. 2. 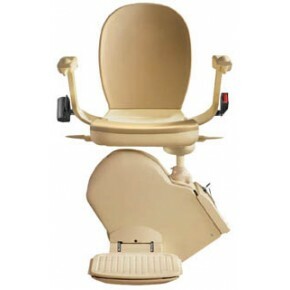 We offer all the leading manufacturers and so are able to give you unbiased advice as to which stairlift would suit your home and more importantly your needs. 3. We are happy to visit you in your own home so we can advise you on the feasability of installing a stairlift and obviously cost. If you prefer you can visit our showroom and try our working model instore. 4. 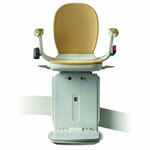 We install all our own stairlifts, we will never contract out your order to third parties. Welcome to Northern Mobility Stairlifts, established in 1993 in Leeds by husband and wife team Nigel and Jennifer Baldwin who have an extensive knowledge of the stairlift industry with previous companies. At Northern Mobility we are proud of the fact that we are an independent family run business, therefore we can offer you the correct stairlift for your needs as we work closely with all the leading manufacturers. We are passionate about our service we provide, we will survey your stairs and offer unbiased advice and obviously a very competitive price without any pressure whatsoever. If you decide to place your valued business with us, we will install your stairlift without delay and treat your home with the greatest of respect and always leave your home as we found it. Reconditioned Stairlifts fitted next day from £895.00 including Installation and a 12 month warranty. New Stairlifts fitted next day from £1395.00 including Installation and a 24 month warranty. Reconditioned Curved Stairlifts from £2295.00 including Installation and a 12 month warranty. New Curved Stairlifts from £3495.00 including Installation and a 24 month warranty.